**New JL Wrangler* *Automatic* *Turbo* *Power Equipment* *Soft Top* *Backup Camera* *24 MPG** FREE CAR WASHES FOR LIFE AND 1 FREE OIL CHANGE WITH ANY PURCHASE! All of our vehicles are marked with our Spitzer Value Price meaning that we have already done the research for you and have provided our absolute best price upfront on every vehicle! We are only 1 hour from Cleveland and Columbus and offer free airport pickup!!! We also offer secure online credit applications or call to do one over the phone. **4x4* *5.7L Hemi* *Heated Seats & Steering Wheel* *Tow Package* *Remote Start* *Android Auto & Apple CarPlay* *20" Chrome Wheels** FREE CAR WASHES FOR LIFE WITH ANY PURCHASE! FULL TANK OF GAS AND FREE OIL CHANGE WITH ANY PURCHASE! All of our vehicles are marked with our Spitzer Value Price meaning that we have already done the research for you and have provided our absolute best price upfront on every vehicle! We are only 1 hour from Cleveland and Columbus and offer free airport pickup!!! We also offer secure online credit applications or call to do one over the phone. When you take advantage of one of our new vehicle specials in Ontario, OH, you won’t be disappointed. Whether you want a new Chrysler 300 sedan, Jeep Wrangler JK SUV, or other top new model, our new specials are the perfect way to help turn your car-buying dreams into a reality. To find the new car that best suits your lifestyle and budget, take a look at our new inventory online today. 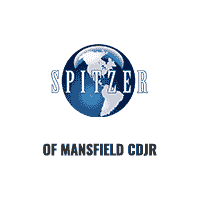 When you value your trade with Spitzer Motors Mansfield, you can automatically turn one our incredible new car specials into even more savings. Who doesn’t want that? To learn everything you need to know about valuing your trade and pairing up with one of our money-saving car coupons, do yourself a favor and give our Ontario, OH dealership a call now.